This statistic shows turnover of the retail sale of photographic and cinematographic equipment and optical instruments in the United Kingdom (UK) from 2008 to 2016. 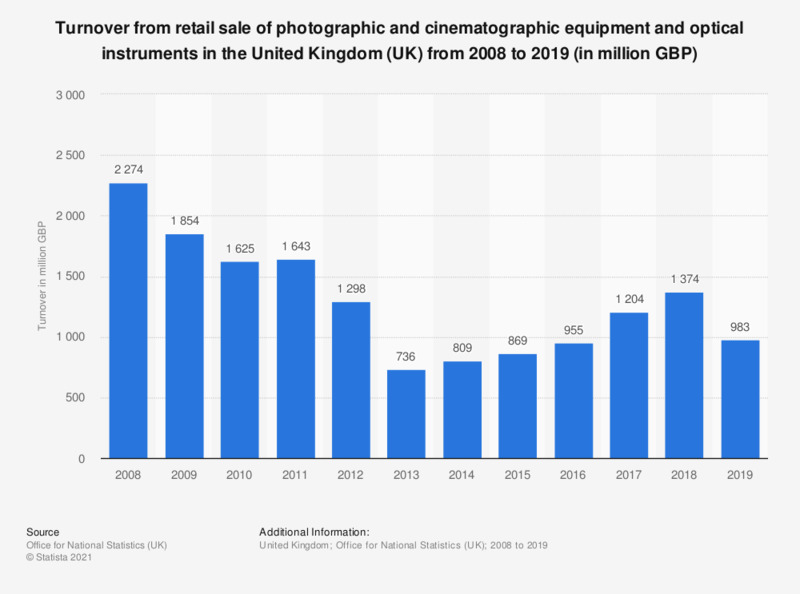 Over this period, photographic and cinematographic equipment retail turnover has declined somewhat dramatically from 2.3 billion British pounds in 2008 to 983 million British pounds in 2016. This may be due to the use of smartphone technologies, where a camera is readily available.